1. Go to www.turnitin.com and click on "Log In" button at the top right. 2. Click on the "Forgot your password? Click here" link. 3. Enter your BUE mail address & your "last name" and then click " Next"
4. Answer your secret question. If you have forgotten the answer to your secret question, click the link Forgot your answer? 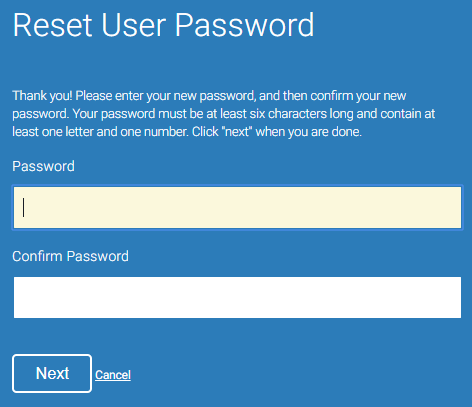 A link will be sent to your email to enter a new password. You have 24 hours to change your password using that link. 6. 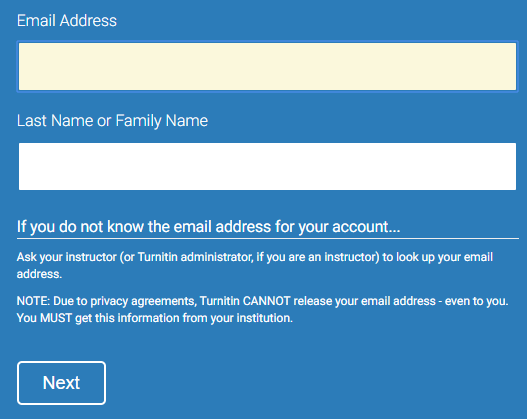 On the password reset page, enter a new password and log into Turnitin using the e-mail and new password for your profile. 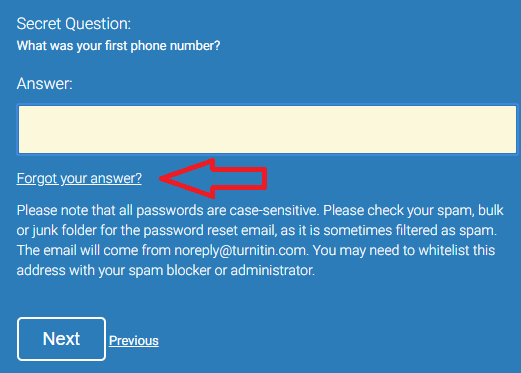 Note: If you could not find the reset password mail, try to search for an email from noreply@turnitin.com in your inbox folder and click on "here" link to enter a new password.